Categories: AC Power, AC Power Source, AC Power Source, Brands, Electrical & Electronic Test. The AFV/APF is a series of programmable AC power source that can be remote controlled and integrated with other systems for easier operation. Applications include home appliance, electronic, medical equipment, lighting, and etc. 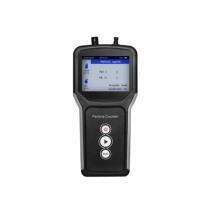 With better accuracy and faster response time, the AFV/APF series offers greater advantage for R&D and compliance tests. Utilized PWM switching technology, AFV/APF provides high quality pure sine waveform with output level up to 2,000kVA. The AC source is coupled with output voltage range of 0~300V and output frequency of standard 45~65Hz or optional 45~500Hz. 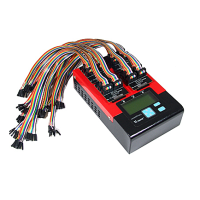 Users can select communication interfaces of RS-485, RS-232, and optional GPIB. The AFV/APF series also have programming sequence functions of STEP and GRADUAL modes, three phase independent control, and soft start for optional choices. 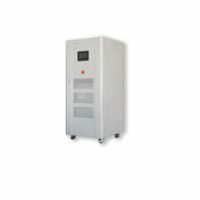 Single phase output power from 0.5-20kVA and three phase output power from 10-2000kVA.